The Sportsman’s Guide was born in the basement of outdoor enthusiast Gary Olen in 1977 as a catalog supplier of items for hunting, fishing and camping. Since then, the company has grown to offer more than 300,000 items. Frequent Sportsman’s Guide shoppers get extra benefits by registering for the company’s exclusive Buyer’s Club. Membership, at $39.99 a year, comes with perks: discounts of 10% on all gear and 5% on guns and ammunition, free shipping, double discount days and members-only deals, among others. Members also receive two $10 coupons when they renew their Buyer’s Club membership each year, which covers half the annual fee. We’ll take a look at why outdoor enthusiasts might want to have the Sportsman's Guide® Buyer's Club Rewards Visa®Credit Card in their wallets. 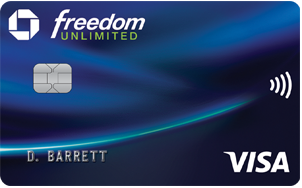 We’ll also compare it to the Chase Freedom Unlimited®, an alternative for those who want a simple way to earn points and have more flexibility in redeeming them, but may not want to be tied down to a single brand. This $0 annual fee card is a great way to boost the benefits of its Buyer’s Club. New cardmembers Get a $40 reward certificate good toward any Sportsman's Guide purchase when you spend $500 outside Sportsman’s Guide with your card within the first 90 days of card ownership. Cardmembers receive a 2.5% discount on every Sportsman's Guide purchase (if you're a Sportsman's Guide Buyer's Club member), and earn 1% back in rewards points on purchases outside Sportsman's Guide . That adds up to a 12.5% discount for most items and a 7.5% discount on guns and ammunition. Earn 1% back in rewards points on anything else you buy outside Sportsman’s Guide with this card. Under the Buyer’s Club 4-Pay Plan, members can pay off purchases of $150 or more on the Sportsman's Guide® Buyer's Club Rewards Visa®Credit Card in four interest-free monthly installments. The first payment is done at the time of the order and includes the merchandise total, taxes, shipping, handling, and any optional package protection fees. The card will be automatically billed for the remaining installments over the next three months. Each time you earn 1,000 points, you’ll receive a $10 Rewards Certificate to use toward Sportsman’s Guide merchandise. Points remain in your account until they are redeemed for a certificate. The 26.99% variable regular purchase APR is steep when compared with other credit cards, so try and pay it off quickly to avoid that higher interest rate. The card’s balance transfer rate is 26.99% variable APR and it charges $10 or 3% of the amount of the balance transfer to do it. There are many more cards on the market that offer lower rates, including 0% for a set number of months, so this isn’t the best card for balance transfers. The Buyer’s Club 4-Pay Plan is subject to credit approval. And leave this card at home if you’re traveling outside the U.S. — you’ll be charged a 3% foreign transaction fee every time you swipe it. Don’t let your reward points pile up, since they expire 24 months after the date that they’re posted to your balance. Once you receive your reward certificate, you have 12 months from the date of issue to use it. Plus, Sportsman's Guide® Buyer's Club Rewards Visa®Credit Card cardholders who also have a Buyer’s Club membership won’t get that larger discount on every item, like those manufactured by vendors including Leupold and Garmin. It’s possible that even the biggest outdoor enthusiast might not want to be tied down to one store. You may want to spend the rewards you earn on a credit card at places outside of the Sportsman’s Guide. The Chase Freedom Unlimited® could be a good alternative. 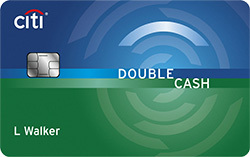 Use the points you earn for travel or gift cards at the Chase Ultimate Rewards® website, or spend them at Amazon.com. If you just want straight cash back, you can get it as an account statement credit or an electronic deposit into an eligible U.S.-based checking or savings account. The Chase Freedom Unlimited® comes with a 0% Intro APR for 15 months on purchases (after a 17.24 - 25.99% Variable APR applies). The balance transfer rate is a 0% Intro APR for 15 months (after a 17.24 - 25.99% Variable APR applies). The balance transfer fee is Either $5 or 3% of the amount of each transfer, whichever is greater. Overall, this is a much better offering, especially for its intro purchase and balance transfer rates, than the Sportsman's Guide® Buyer's Club Rewards Visa®Credit Card. Unlike the Sportsman's Guide® Buyer's Club Rewards Visa®Credit Card, the Chase Freedom Unlimited® comes with a few perks including purchase protection and an extended warranty. 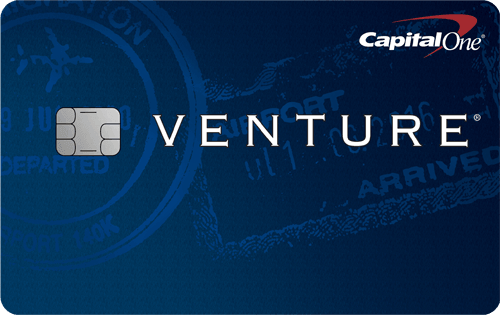 But like the former card, this one also charges a foreign transaction fee of 3% of each transaction in U.S. dollars. Read our review of the Bass Pro Shops CLUB Mastercard® and our review of the Cabela’s family of Visa cards. Let’s be honest — it’s really easy to find credit cards with more generous rewards programs and more flexibility in redeeming than the Sportsman's Guide® Buyer's Club Rewards Visa®Credit Card. There are also cards with much lower interest rates, no annual fees, no foreign transaction fees, and the best sign-up bonuses. The biggest draw of this card is the extra discount you receive for outdoor gear, guns and ammunition, especially if you belong to the Sportsman’s Guide Buyer’s Club. If you’re a true sportsman, the chance to buy the things you need out in the field at that extra discount could be quite attractive. But the Chase Freedom Unlimited® gives you a flat reward and the flexibility to use it in more than just one store. And you still get a pretty good discount on gear if you pair this card with your Buyer’s Club membership. It may be more important for you to have a card like the Sportsman's Guide® Buyer's Club Rewards Visa®Credit Card, which gives you good discounts and the ability to use your rewards on outdoor gear. But the Chase Freedom Unlimited® should be considered if you want a flat rate on all rewards and more flexible ways to redeem them. Check out What Credit Card Should You Get?